Alexander Tuzhilin is a Professor of Information Systems and the Leonard N. Stern Professor of Business at the NYU Stern School of Business. Professor Tuzhilin has developed and teaches an M.B.A. course on emerging technologies and business innovation, as well as Ph.D. and undergraduate-level courses on fundamentals of computer systems. Professor Tuzhilin's current research interests include data mining, personalization, recommender systems and CRM. He has produced more than 100 research publications and patents on these and other topics in various outlets, including such journals as Information Systems Research, Management Science, INFORMS Journal on Computing, Data Mining and Knowledge Discovery, and various IEEE and ACM journals, including IEEE Transactions on Knowledge and Data Engineering (TKDE), ACM Transactions on Information Systems and ACM Transaction on Database Systems. In 2009, his 2005 IEEE TKDE paper "Towards the Next Generation of Recommender Systems..." was among the top-10 most frequently cited papers published across all Computer Science journals over the five-year period 2005 ï¿½" 2009 (according to the Scopus' TopCited service). 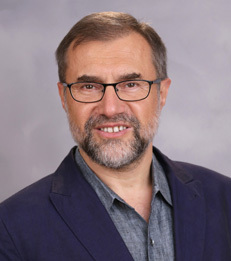 Professor Tuzhilin has served on the Editorial Boards of several leading journals in his areas of expertise, and currently serves on the boards of the ACM Transactions on Management Information Systems, the INFORMS Journal on Computing (as an Area Editor) and the Data Mining and Knowledge Discovery Journal. He has also served on the organizing and program committees of numerous conferences, as a Program Co-Chair of the Third IEEE International Conference on Data Mining (ICDM), as a Conference Co-Chair of the Third ACM Conference on Recommender Systems (RecSys) and on the Steering Committee of the ACM Conference on Recommender Systems. Professor Tuzhilin's doctoral students have joined leading departments of Information Systems upon graduation, including those at the Wharton School, University of Minnesota, Boston University and the Hong Kong University of Science and Technology. Professor Tuzhilin advises high-tech companies on their technology strategies. His various academic and industrial activities have been featured in major media publications, including The New York Times, The Wall Street Journal, Business Week and the Financial Times. Professor Tuzhilin received his B.S. in Mathematics from NYU, his M.S. in Engineering Economics from Stanford University and his Ph.D. in Computer Science from the Courant Institute of Mathematical Sciences at NYU.